Ever wonder where your favorite liquors come from? Well, plants! 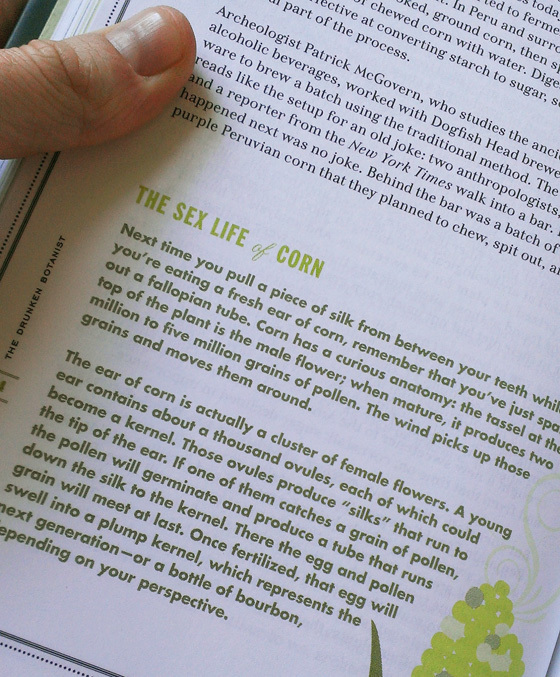 Now there's a book to guide you through the plants that are thankfully transformed into your favorite tipples. The Drunken Botanist by Amy Stewart is a whimsical and lovely book that provides history of how specific plants were domesticated and used to make alcohol, today's process, and the subsequent libations that are produced from said plants. She even provides recipes for cocktails, syrups, and garnishes to up your cocktail game! Win! Some of your favorite beverages such as wine, gin, whiskey and beer are carefully described as to the specific type of plant used, how it is grown and harvested, and ultimately how it is distilled or brewed. Some of the more well-known plants include hops, juniper, wormwood, agave, corn, and barley, just to name a few. 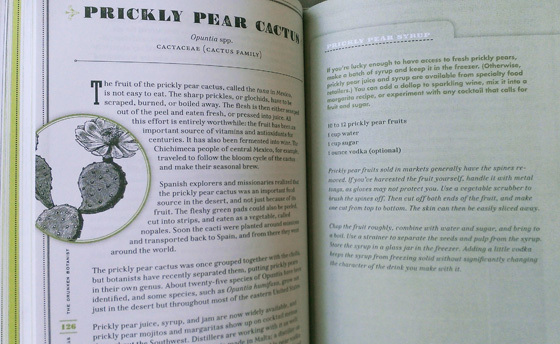 She also catalogues common spices and roots that are also used to make rather obscure tipples - for instance, Tamarind which is used in Worcestershire sauce is also used to make Tamarind wine and Prickly Pears used in mojitos and margaritas, prickly pear liqueur called Bajtra from Malta, prickly pear vodka from arizona, and infused tequila. Ms Stewart goes through a vast array of plants all included in making libations, some we've never even heard of. For instance, Savanna Bamboo, used to make Ulanzi bamboo wine in Tanzania, Tonka Bean used in Abbot's Bitters, and Marula used to make Amarula Cream. We here at Gastronomista HQ love this book. We've found that some books on making spirits can be rather cryptic (and boring), The Drunken Botanist gives a fresh lens to the process, making it accessible, fun, and simple to understand. We've been drooling over the gorgeous illustrations, and soaking up all the romantic latin names of each plant, stories, and recipes that accompany each plant's chapter. This book has us aching for a lush garden filled with different plants to experiment with, and an equally lush bar filled with obscure liquors for shaking! 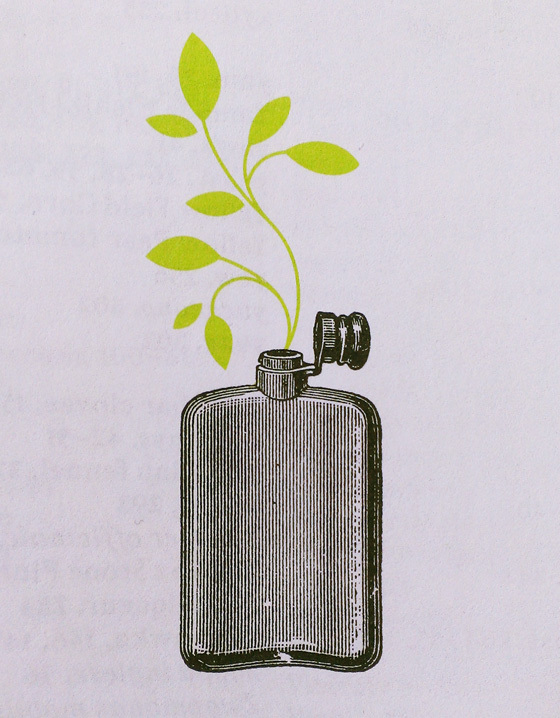 Luckily for you, today we are giving away three copies of The Drunken Botanist! The contest closes in one week (12 pm EST). Winner will be selected on Monday, April 29th, and will be emailed that day. 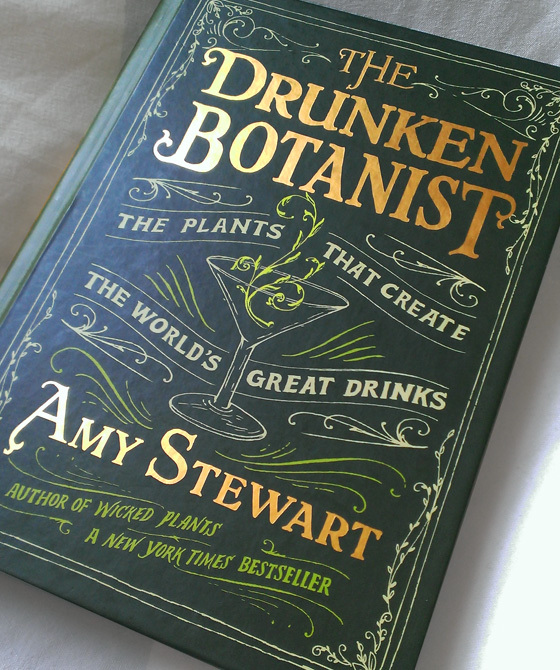 Good luck, and many thanks to The Drunken Botanist author, Amy Stewart! What a gorgeous book! 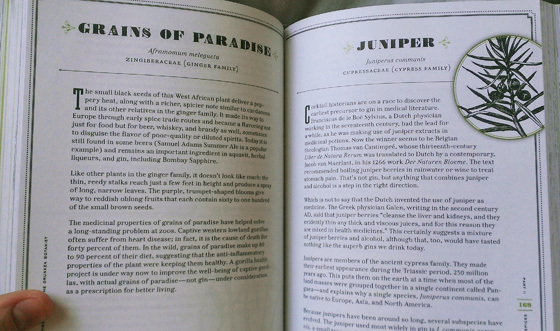 My favorite spirit is gin and it's made from juniper berries and other botanicals. My favorite is Rye. Which is made from Rye! Whisky from almost any grain! Barley, corn, rye, wheat! I'm a whisky girl - and have recently been leaning towards bourbon (mostly corn), scotch (malt and grain), or my new fun favorite, Japanese (similar to scotch). Currently residing at home because of a broken ankle, so I have all the time to thoroughly read this fantastic book. It will be a while though before I drink my favourite again, which is Gin primarily made from juniper berries. I hope I win! What a great read! I do love rum, made from sugarcane of course! love gin. all that juniper! I prefer tequila made from the blue agave plant. Summer's coming so it's about to be all about rum drinks for me: sugar cane. you ask my favorite spirit and I can't answer! Of course it's gin (juniper) as I found this lovely blog by way of Violet gin fizzies but maybe it's absinthe (wormwood) as my friend Jen and I throw grand absinthe parties (ok its just the two of us or maybe its my classic rye whisky (rye)...I can't decide!! Bourbon whiskey (from corn) or vodka (made from a few choice things - rice and potatoes being on the list). Tough to choose, but I'll say tequila which comes from agave. I like succulents. Drambuie! a magical amalgamation of malt whiskey, heather honey, herbs, & spices. St. Germaine. Elderflower liquor. Tastes like how flowers should.